Find information technology and emarketing specialist cv resume with cover letter sample (ex. 835), simple template format example helps with document writing. 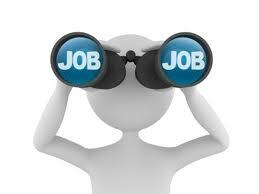 - Information Technology And Emarketing Specialist Application Letters. Responsible of all kind of new technologies used in our organization and communication with the customers and all new solutions fixed our problems, including emarketing; marketing communications and designing marketing means for the company website and printing. B.Sc, Journalism & Mass Com, mass communications sectio, mass media faculty, clorado universit, 7/2006. Resuming my career as - information technology and emarketing specialist - in a company where I can express my skills and experience. I'm submitting a letter to express my strong desire to be considered for the position of "information technology and emarketing specialist" being offered by segma int. I fully believe I'm qualified to fill the position and make great contributions to encourage the growth of organization. I have 33 years old, finished B.Sc journalism mass comm from the faculty of mass media, got a pre master in public relations advertising, finished training as a certificate, microsoft web design diploma, advertising industry public relations training, microsoft data base programming diploma, microsoft graphics diploma, microsoft general diploma, certificate elemantry phase, english language course from level 1 to level 4, adobe premiere pro, autodesk combustion 4, autodesk 3ds max 9, photoshop cs2 ace certified, illustrator cs2, indesign cs2, acrobat professional, dreamweaver 8, flash pro 8 ace certified, director mx 2004, sony sound forge 8 0 audio editing, advanced interpersonal communication, effective presentation, time management skills, team participation, sales skills basic, excellence in service, excellence in service, strategic decision making, business problem solving, with a total working experience of 14 to 15 years, summarized as: accountant for 2 years, departmental for one year, account executive, account supervisor, i t proffesional, and from 10 years started working as information technology and emarketing specialist.